The opening round of the 2019 Masters produced some good scores. In total, 43 golfers finished play on Thursday at even par or better and 28 of those were under par. That makes the task all the more difficult for the players who finished in the black. And plenty of big names disappointed in Round 1. Unless he really gets it going over the next three days, it looks as though Rory McIlroy will fail to complete the Career Grand Slam for a fifth straight year. While Augusta tends to favor the best of the best, the World No. 1 struggled, as did a former World No. 1 who almost always contends at the Masters. The first day of the Masters is in the books. These were the biggest, most noteworthy disappointing performances from the opening round. McIlroy was inconsistent for a good part of his round, but seemed to find his form on the second nine. He stood on the 17th tee at one-under. Then, he bogeyed 17 and 18. 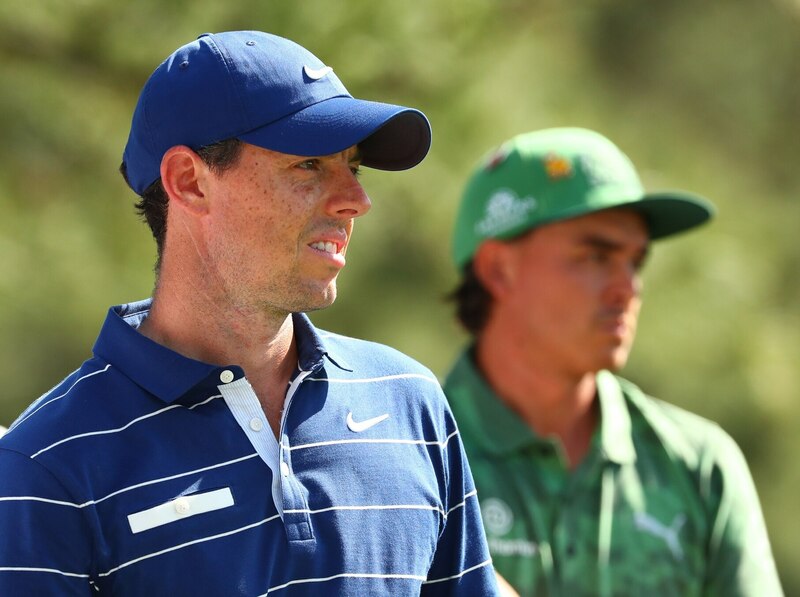 Unfortunately, this has been a theme throughout McIlroy’s career at Augusta. He always seems to be dragged down by one frustrating round. The good news is that he’s got some time to make up for it. But if McIlroy ends up in the top-10 and finishes a few shots behind the leader (something that his history at the Masters says is quite possible, if not probable), we’ll have to remember this round. Rose started late in the day. For guys like Brooks Koepka, Bryson DeChambeauand Phil Mickelson, that was a good thing. But that didn’t do much to help Rose. He struggled out of the gate on Thursday. He went out in 40, recording no birdies and four bogeys on the opening nine. Rose did birdie both 15 and 17, but those sandwiched a fifth bogey of the day on 16. As the No. 1 ranked golfer in the world, Rose was on a short list of favorites coming into the Masters. One day in, it’s an entirely different story. Yes, Spieth has had his share of heartbreak at Augusta. But that’s largely because he’s always been at or near the top of the leaderboard. But judging by the opening round, 2019 looks to be a reversal of that trend. Spieth struggled early, making three bogeys, a double, and only one birdie on the first nine. His back nine was much less eventful, with eight pars and one birdie. Unfortunately, that wasn’t quite good enough for Spieth to dig himself out of the hole he was in. Spieth had the favorable afternoon start time. But going forward, he’ll to have a solid round on Friday to even play the weekend, let alone contend. Garcia doubled the sixth hole and bogeyed the tenth on Thursday. While a double is obviously less than desirable, two blemishes on a scorecard isn’t too bad. The problem for Sergio is that he recorded only two birdies on the day. And obviously, the course was surrendering its share of good rounds. The later players had the better of things but there were clearly birdies to be had all day on Thursday. Sergio just couldn’t take advantage. At one-over, the 2017 champ will have his work cut out for him if he wants to work his way back into contention. While the afternoon start time was favorable, some guys didn’t get the memo. Thomas is in that group. He had an inconsistent front nine, making two birdies and two bogeys. The back nine was nothing but pars until the final hole, which Thomas bogeyed to finish at one-over. He’s given a sizable head start to a number of big name golfers. He may not be totally out of the mix. But given how well so many golfers around him were playing, Thomas’ day can certainly be called disappointing. Casey had been enjoying a nice 2019, posting a win, two runner-ups, a T3, and a T9. That, plus the fact that he’s had five top-10 finishes at the Masters made it seem like a lock that he’d be a factor on Sunday. That’s no longer the case. He failed to make a single birdie and made five bogeys and two doubles en route to an 81. Only Angel Cabrera, who’s only in the field because he won the Masters 10 years ago, was worse. And like Rose, Spieth, and Thomas Casey was playing late in the day. But those guys can find some positives from Thursday’s round. That’s much harder for Casey. The defending champ struggled on the front side, going out at two-over. But Reed appeared back on track when he eagled to move to even. And while he birdied 15, bogeys on 14 and 18 still put Reed over par to finish the opening round. In total, his card had five bogeys, which is obviously way too many. Like all of the other guys at one-over, Reed isn’t completely out of the mix. But if he’s going to be the first repeat champ at Augusta since Tiger Woods in 2001 and 2002, Reed has a pretty tall mountain to climb.